Rich Ling (Ph.D., University of Colorado, sociology) is the Shaw Foundation Professor of Media Technology, at Nanyang Technological University, Singapore. 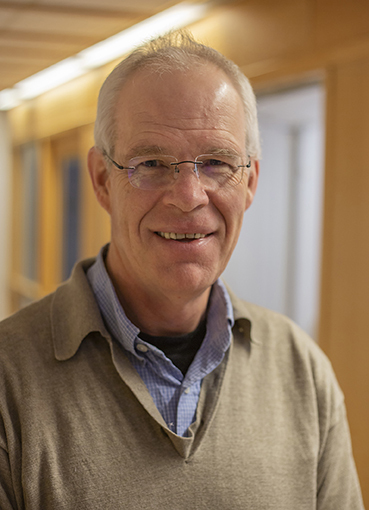 He has an adjunct position at the University of Michigan and he has a connection to Telenor, the Norwegian Telecommunication Operator. For the past two decades, Ling has studied the social consequences of mobile communication. He has examined how mobile communication facilitates microcoordination, how it is used in emergencies, how it has been adopted and used by teens in Norway and the US, and how it is used by small-scale entrepreneurs in places such as Cote d’Ivoire and Myanmar. He has also examined how mobile-phone based interaction illuminates more fundamental social forces such as strong-tie bonds and triadic interaction. He finds that mobile communication is increasingly being structured into the social fabric. This process is changing the social structure. Ling has written extensively in this area. He has written or edited 11 volumes and over 100 peer reviewed papers and book chapters. He has written The mobile connection (Morgan Kaufmann, 2004), New Tech, New Ties (MIT, 2008) and most recently Taken for grantedness (MIT, 2012) a book that received a complementary review in the journal Science. In addition, he has done peer reviews for more than 70 different academic journals. Finally, but perhaps most importantly, Ling has worked to develop venues in which other scholars can place their work. Along with Veronika Karnowski, Thilo von Pape and Steve Jones, he is a founding co-editor of Mobile Media and Communication (Sage). In addition, along with Gerard Goggin and Leopoldina Fortunati he is a founding co-editor of the Oxford University Press Series Studies in Mobile Communication. He was recently named a fellow of the International Communication Association.